The Court of Appeal has ruled against Thames Water Utilities Limited and upheld the £250,000 fine for polluting a nature reserve. Thames Water had allowed untreated sewage to enter a 143 acre nature reserve owned by the National Trust within an area of Outstanding Natural Beauty and a site of important nature conservation, popular with walkers, schools and naturalists. 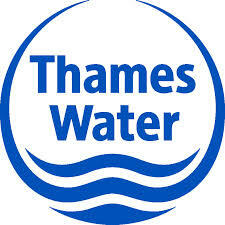 Despite repeated alarms in Thames Water’s control centre showing a total pump failure at a sewage pumping station it was 5 days until the company attended the site. The pollution was brought to the attention of the Environment Agency and Thames Water by a member of the public. For 5 days raw sewage flowed into the reserve polluting a rare alder carr woodland and a specially developed newt pond, killing invertebrates in watercourses for up to 600 metres, and closing the reserve to visitors. To bring the message home to the directors and shareholders of organisations which have offended negligently more than once before, a substantial increase in the level of fines, sufficient to have a material impact on the finances of the company as a whole, will ordinarily be appropriate. This may therefore result in fines measured in millions of pounds. We welcome the Court of Appeal’s decision to uphold this significant prosecution result, which demonstrates that businesses need to prevent pollution or their profits could take a hit. Under the new environmental sentencing guideline very large companies who risk causing serious environmental damage could now face very large fines. In this instance the company did not act swiftly enough to stop sewage damaging the nature reserve and a significant clean-up operation was needed. This sentence should act as a deterrent. In fact, the Court said that it would have upheld a very substantially higher fine in this case. Pollution incidents can impact on local communities, spoil ecosystems and reduce water quality in rivers or bathing beaches. Any member of the public who notices pollution can call the Environment Agency’s 24/7 pollution hotline: 0800 80 70 60. In July 2014 the new Definitive Guideline for Environmental Offences was issued, the guidance which was referred to in this case. This is the first judgement of the Court of Appeal to consider the new 2014 Sentencing Council Guideline for Environmental Offences and it confirms the intention that fines will be fixed taking into account the means of a particular company offender, not just to reduce the level of a fine in a particular case, but to increase it where the company is of greater means. the objectives of punishment, deterrence and the removal of gain (for example the decision of management not to expend sufficient resources in modernisation and improvement) must be achieved by the level of penalty imposed. This may well result in a fine equal to a substantial percentage, up to 100% of the company’s pre-tax net profit for the year in question….even if this results in fines in excess of £100 million. This entry was posted in News and tagged Environment Agency, Pollution, Thames Water. Bookmark the permalink.